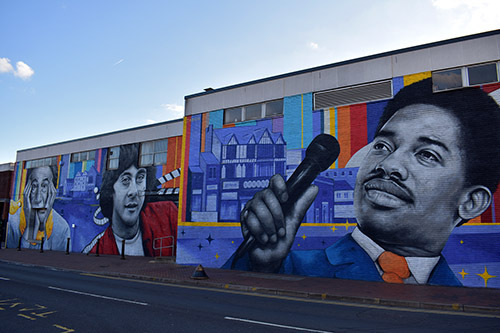 29/10/18 – THREE ICONS of Beeston have been given a lasting tribute in Beeston Town Centre as part of the Beeston Street Art Festival. 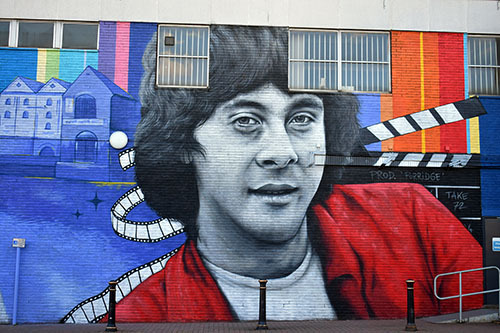 The late actor Richard Beckinsale, the late singer/songwriter Edwin Starr, and fashion designer Sir Paul Smith were spray painted by international street artist Zabou to celebrate the influential creatives of Beeston. The street art on Station Road was commissioned by Broxtowe Borough Council as part of its Beeston Square Redevelopment project. The original funding was provided by Henry Boot plc. as part of Beeston Square Phase 1. The Council chose to use the remaining £8,179 of the fund for the street art. The redevelopment of Beeston Square began in 2013 and work on Phase 2, which includes 120 new homes, a cinema and a number of new food and drink outlets, is set to begin in 2019. For more information on Zabou, please visit her website.